In general, synthetic aperture radar (SAR) imaging and image processing are two sequential steps in SAR image processing. Due to the large size of SAR images, most image processing algorithms require image segmentation before processing. 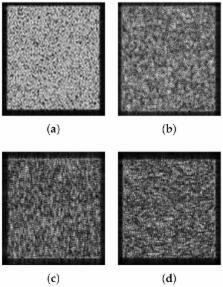 However, the existence of speckle noise in SAR images, as well as poor contrast and the uneven distribution of gray values in the same target, make SAR images difficult to segment. In order to facilitate the subsequent processing of SAR images, this paper proposes a new method that combines the back-projection algorithm (BPA) and a first-order gradient operator to enhance the edges of SAR images to overcome image segmentation problems. For complex-valued signals, the gradient operator was applied directly to the imaging process. The experimental results of simulated images and real images validate our proposed method. For the simulated scene, the supervised image segmentation evaluation indexes of our method have more than 1.18%, 11.2% and 11.72% improvement on probabilistic Rand index (PRI), variability index (VI), and global consistency error (GCE). The proposed imaging method will make SAR image segmentation and related applications easier. Copyright statement: © 2018 by the authors. Licensee MDPI, Basel, Switzerland. This article is an open access article distributed under the terms and conditions of the Creative Commons Attribution (CC BY) license ( http://creativecommons.org/licenses/by/4.0/).